Stand by the Velayat-e Faqih, the Iranian Supreme Guide, so no harm come …. and believe in a flat earth. After the #IranProtests died down under coercion in the first week of January, the Iranian political actors marked the 39th year of the Islamic Revolution’s Glory. Every year, the Iranian Islamic circus day is set to 11th of February, 22nd of Bahman month in the Iranian calendar. Thirty-nine years ago to the date the Glorious Islamic Revolution, as the theocracy is pleased to call it, became the plight of the country. Since 1979, the repetitive scenario has been followed scrupulously by the Shiite hierarchy and the wretched people who participate in the street-shows. The wording might change from year to year, but the message is the same. The Leader’s representatives call people in their masses to attend the street demonstrations to show their resolve in standing up against Iran’s enemies, asking for eye-catching displays of popular fervour during the day of Allah (تظاهرات تماشایی در یوم الله). On the day, people walk on the flags of other countries, enemies of Iran, or burn them and hold banners which read: Down with USA, Down with Israel, Victory to Islam. All this is tiresome. To create a festive mood and invite younger generations to participate, circus or Halloween style dressing up is permitted within a limit: scarecrows portrayed as the US’s president, Israel’s prime minister and any other political figure that the theocracy deems to call its enemy are erected and burned. All this is in the line of the regime, everything else is forbidden. Sadly, thousands participate. For many, it is an amusing day out. Full stop. Do the men and women, who march in the streets, waving banners of enslavement to the theocracy, We Obey The Order From The Leader, realise that by backing the regime, they applaud dictatorship, racism, and xenophobia? Are they aware they are being manipulated by the authorities who hide behind religious concepts, ignore public aspirations, violate people’s rights and freedoms and are plainly incapable of solving, if not creating, the political, social, environmental, and economic crises in the country? On the day, the radio and TV were to broadcast live from the demonstrations. 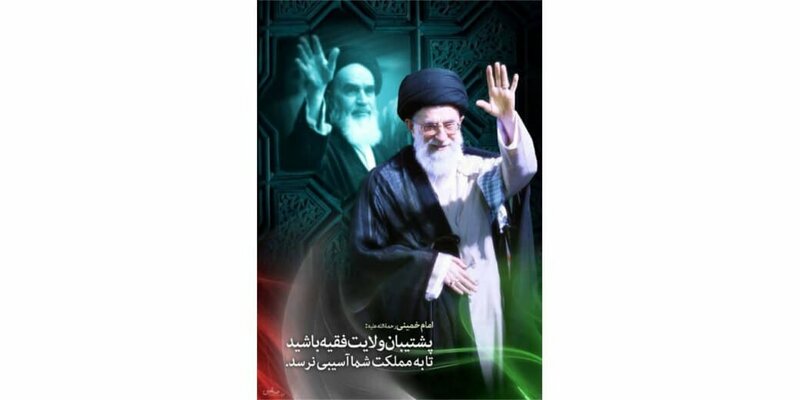 The press wrote thousands of reports filled with adjectives to over-embellish the people’s joyful mood and their bond to the Leader in celebrating the Victorious, Glorious, Second to None, Islamic Revolution. The president, ministers and other VIPs take part in the marches, long enough to have their pictures taken and published in the media. All too kitsch, repetitive and trite, albeit remarkably indecent in the face of the terrible state the country is in, or the events taking place in the background. However, the fit of bad temper from the population, expressed in the #IranProtests in December, and the pictures of women defying the hijab, were still fresh in the memories of those who had seen them. Twenty-nine women were arrested. They face heavy prison sentences. Today, the social media waves on the Internet backing the #IranProtests have slowed to the point of non-existence. But this is the way social media works: flash in the pan. It provides a comfort zone for many who post something here and there. Then people move to something else and the voices of a handful of human rights activists are muffled again. Hassan Rouhani talked about holding a referendum on socio-economic issues to reconcile the nation. 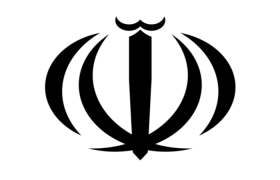 Proposing to hold a referendum where all institutions are vetted by the theocratic Velayat-e Faqih regime, and are part of the constitution of the country, is another smokescreen for Rouhani to hide himself behind. It creates hot-air debates which are forgotten as if they never happened. In Iran, as in any dictatorship, the public opinion is irrelevant. Behind the secrets, the opacity, and the smokescreens of the regime, despotism hides. During the legislative or the presidential elections, the candidates are vetted, and the vote counts are not supervised by independent bodies. In a nutshell, they are bent and rigged one way or another. 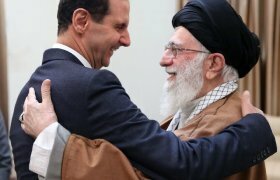 Add to it the malleability of the people to follow the Leader‘s orders, even if these dictators are clearly against developing long term prosperity for all, and would mostly benefit from the overlapping circles close to the Leader’s office: IRGC, Qom’s Islamic seminars, etc. Referendum necessitates public debates in which people express themselves freely. 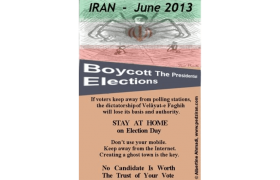 Any referendum held within the frame of the Velayat-e Faqih, is a mere simulacrum in a country in which the media is muzzled, self-censorship prevails, and daring journalists are jailed and/or forced into exile. Would any referendum held under these circumstances wear the popular legitimacy it requires? Since #IranProtests events, the arbitrary arrests go on. Each and every ayatollah has taken a stand on #IranProtests ranging from patronising childish moods of rebellion to recommending the ruthless destruction of the enemies’ agents. The Iranian judicial system works with arbitrary arrests, heavy jail sentences given upon manufactured evidence or no evidence at all. The tribunals are a complete farce: the defence lawyer is kept at bay and access to his/her client restricted. Often, the lawyer would be summoned and arrested for exercising his/her profession. This has gone on for decades. 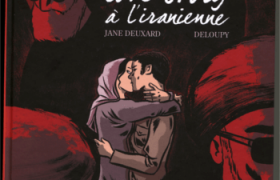 The story of defending lawyer Mohammad Ali Dadkhah has become a textbook case among far too many others, less known to the general public. After years of soaring numbers of executions, in mid-2017, the judiciary showed signs of changing its mind. Perhaps it was about time to kill fewer people by public hanging or in the prison yards. However, the number of child executions did not drop and the debate in Parliament was left hanging in mid-air and forgotten. Never short of ideas in human rights abuses, the judiciary has found a replacement for executions. The Iranian judiciary has nothing to do with fairness, balance, or any such words or actions associated with justice. Sadeq Ardeshir Larijani is the Chief Justice of Iran. Abbas Jafari Dolatabadi, Tehran’s public prosecutor, is another murderer and violator of human rights. Abolqasem Salavati, Judge of Death, heads the 15th branch of the Islamic Revolutionary Court in Tehran. Gholam-Hossein Mohseni-Eje’i, inquisitor, the first deputy of the Chief Justice of Iran spokesman, ex-minister of Information. The horror gallery of the Iranian Justice power is to be found here. Jailing dual-nationals on false accusations, usually of spying, and then using them as bargaining chips is a speciality that the men in the judiciary cultivate to perfection. Iranian international politics evolves around their skills, and the proficiency of a practised master in cover-up, Mohammad-Javad Zarif, the foreign affairs minister. If the human rights defenders in the West take offence and write a few articles or start a petition, the judiciary has its own weapon to counterbalance. The Human Rights Council, within the organigram of the judiciary power, is headed by the brother of Chief Justice, Mohammad-Javad Larijani. If things get out of hand and cheeky deputies speak out, the Speaker of the Parliament of Iran, Ali Larijani, yet another brother, would be there to back the judiciary in public. They are all indeed creatures of the Islamic-Shiite beau monde. We should see their effigies burned in public places. In the crackdown on the #IranProtests, more than 3700 were arrested and 20 killed (repeated numbers in the media, but unconfirmed). Within a few days, according to the authorities Sina Ghanbari and Vahid Heidari committed suicide in Iranian prisons. Only fools would believe the woolly explanations and the edited evidence produced by the masters of lies within the Iranian judiciary. One would have imagined that the killings, arrests and suicides would shake up a nation that has been comatose for the last 39 years.Nothing of the kind. As always the general mood is wait and see. Those who marched under the Leader’s command after the #IranProtests, or took part in the 11th February circus, could not care less about the victims or the judiciary’s flimsy fabrications.As long as they could hold a banner, burn a few flags and eat something for free, they were happy. There are lots of words that have no meaning in general Iranian political culture. The ability to debate without personal attack, listening to others’ reasoning, freewill, and solidarity are just the beginning of a longer list. Chillingly, the suicides in the prisons were not to be limited to the #IranProtests episode. A wave of horror swelled when the suicide of Dr Kavous Seyed Emami in jail was disclosed to the public. Dr Seyed Emami was a distinguished environmental scientist. Seven other environmental activists and defenders – Amir-Hossein Khaleghi, Houman Jowkar, Morad Tahbaz, Niloufar Bayani, Sepideh Kashani, Taher Ghadirian and Sam Rajabi – were also arrested at the same time, on 24th January 2018. Dr Seyed Emami was assassinated in jail, on 10th February, no matter what the judiciary power men say. The suicide scenario is just good enough for the wretched figurants and extras that chant Yes! To the Leader and march in the streets on command. And also good enough for those who lick the boots of the ayatollahs for money and position. Sadly, a very large number of them are bred in the country. Bad news comes in clusters: some environmental activists, including Dr Seyed Emami, are dual-nationals. In no time, all were labelled by some VIPs as spies enrolled by CIA, Mossad … you name it. According to the judiciary and the IRGC (Pasdarans) declarations, their scientific monitoring material was used to collect and transmit highly sensitive information to the enemies. Paranoia, hypocrisy and nonsensical declarations have no limit in the Islamic Republic of Iran. Next to enter the scene were IRGC advisers to the Leader on military matters. Suddenly, environmental matters became the excuse to crack down on the activists held on charges of spying. A senior military adviser to the Leader claimed that spies are all over the place. Lizards and chameleons were exported to Iran. They are sensitive to atomic waves and therefore can be used to spy on Iranian nuclear facilities. Other senior figures added their own balderdash. The sources are obtainable on Iranian websites for those who care to read them. The suicide or radioactive chameleons scenarios are good enough for the wretched figurants and extras that say Yes! To the Leader and march in the streets on command. And also good enough for those who lick the boots of the ayatollahs for money and position. Sadly, a very large number of them are bred in the country. The difference between the military advisor’s stupidity and the chameleon’s ingenuity is that the chameleon knows its limits. The Iranians do not make a freedom-loving country in which expressing one’s mind is accepted, respected and debated. 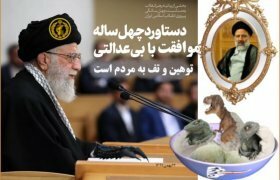 Next year, 2019, the very same men at the head of the regime will be there to celebrate the 40th anniversary of the Islamic Republic of Iran with another circus in a carnivalesque mood. Forty years of miseries and wasted time. Forty years of pathetic failures and mishandling of the country’s problems. If you do not take care of politics, politics will take care of you. For short: everything is political. These are sentences I have heard since I was knee-high to a grasshopper. The cruel twist of fate for the Iranian environmentalists was a foreseeable event. Whatever you do, if you are not a member of the inner circles of the power, one day you will be caught in a web of lies and false accusation, and possibly killed. Merit, intellectual honesty, and academic recognition have no value in the Islamic Republic of Iran. The Islamic system has no moral, and the Islamic judiciary is run by evil liars. In the theocracy, politics and justice are brutal and concern all and sundry. In the background, the country is simmering, and fizzing in all directions with paradoxical demands and tragedies taking place. Are they signs of hope for change or desperate moves? Are there personalities who can listen and gather enough people, a critical mass to be credible, and act collectively, coherently and pragmatically?